This is an excerpt from our Excel CPE course – Must Know Excel tips Tricks and Tools for CPAs. 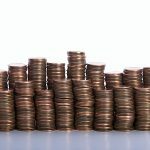 If you don’t want the pennies in your calculation you can use =TRUNC(), short for TRUNCATE, or =INT(), short for INTEGER, to turn your data into integers. The two functions work differently but return the same value when working with positive numbers. You will get different answers from these two functions with negative numbers. TRUNC() removes the fractional part of the number whereas INT() rounds down to the nearest integer based on the value of the fractional part. 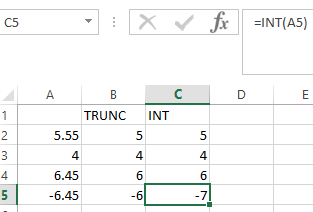 In the screen shot below, -6.45 returns a different value using INT as it -7 is the lower value.